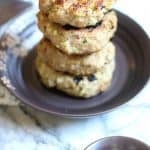 Grilled Zucchini Turkey Burgers are a great alternative to beef burgers, especially when you combine lean turkey with grated zucchini and onion, bread crumbs, parmesan cheese, and seasonings. So surprisingly tender and delicious. Today I want to talk about how much I love zucchini squash! I want to convince you to start using it in your cooking, if you don’t already. Because zucchini really is the most versatile veggie. You can do the following things with zucchini. Spiralize it, and sauté it with other veggies, like my Pesto Vegetable Pasta. Bake with it, like my Chocolate Zucchini Bread. 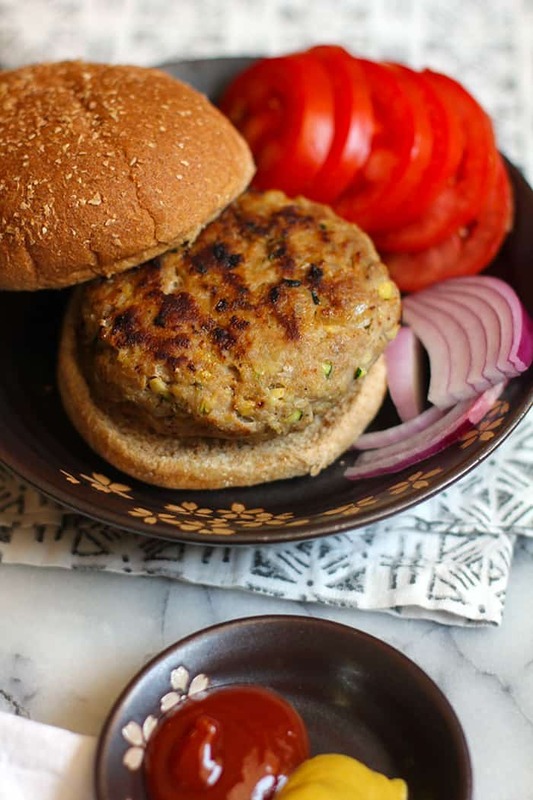 Use it to tenderize meat, like these turkey burgers. And even fry it up as a patty. 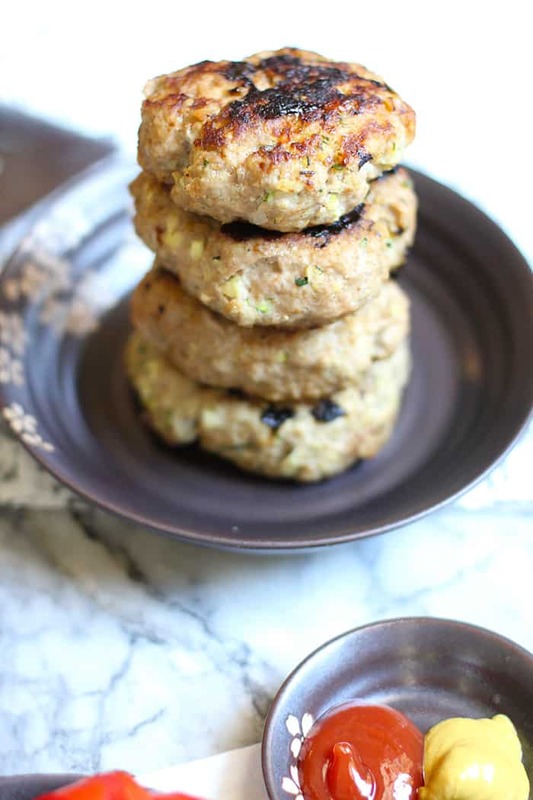 To make these Grilled Zucchini Turkey Burgers, I put an Italian spin on it by adding bread crumbs and parmesan cheese. The zucchini and onion make them unbelievably tender, and I’m definitely going to keep making them this way. The most important step is to make sure the zucchini is not too wet. You will be surprised at how much water you can squeeze out of the zucchini! I made these burgers two nights in a row. The first night I made them on the outdoor grill, and the second night I made them indoors, on the grill pan pictured below. I wanted to make sure they cooked up well either way, and they did! So I recommend doing it both ways. Preheat outdoor grill or indoor grill pan to 350 degrees (medium high heat). 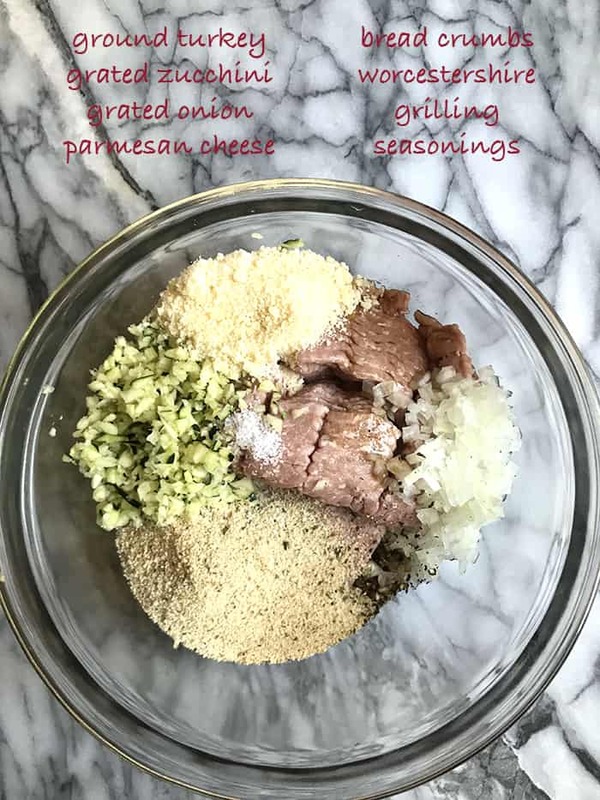 Combine ground turkey, zucchini, onion, bread crumbs, and parmesan cheese in a mixing bowl. Pat into five even-sized patties. Place on grill and cook until done, about 165 degrees. Serve on grilled buns with lettuce, tomato, and any other desired condiments. These are delish!!! I will make again and next time a bigger batch with more zucchini!! 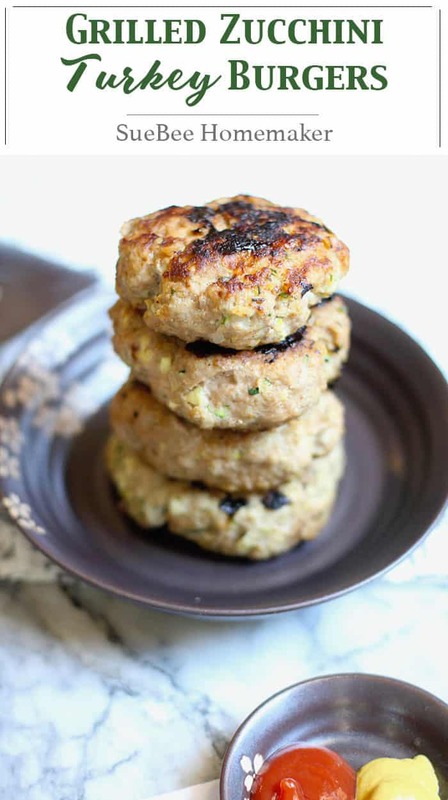 The turkey burgers are moist and delicious. We will definitely make these again. Nice job Susie!